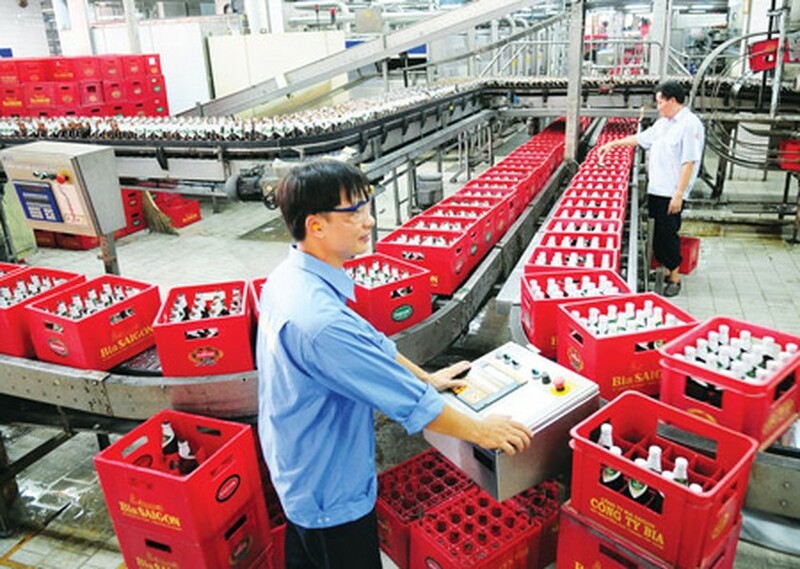 The HCM Stock Exchange (HOSE) has approved the listing of Vietnam’s largest brewer Saigon Beer, Alcohol and Beverage Corporation (Sabeco) at a starting price of VND110,000 per share (US$4.89). In a statement released on November 28 on its website, HOSE said it approved the listing of 641.2 million shares on November 25 and that these shares would be available for trading on December 6, earlier than the previous schedule of December 12, under the code SAB. Sabeco’s market capitalization will reach VND70.5 trillion, making it the fifth largest listed firm on Vietnam's stock market, behind dairy firm Vinamilk (VNM), PetroVietnam Gas Corp (GAS), Vietcombank (VCB) and property developer Vingroup JSC (VIC). Vo Thanh Ha, Sabeco’s chairman, told local media on Sunday that the company was completing necessary procedures and selecting a consultancy company to sell the state’s ownership, at the request of the prime minister and the industry ministry. Being listed will make Sabeco’s shares more attractive, especially as the company met its 2016 targeted profit within the first nine months. As per the company’s nine-month combined financial report, its revenue is more than VND21.8 trillion, an increase of 9 per cent year on year, while its post-tax profit is more than VND3.65 trillion, an increase of 24 percent year on year. The State currently holds 89.6 percent of Sabeco’s charter capital and plans to divest it in two phases. The first tranche of stake sale will be 53.6 percent of its ownership and will be conducted by the end of this year. The remaining 36 percent will be transferred next year after the company completes its listing. The total value of the state’s holding in Sabeco is about VND40 trillion. Sabeco has been fined VND100 million by the State Securities Commission for not publishing company information in compliance with the laws on their websites, such as the company’s 2014 and 2015 managerial reports, annual reports or the company’s charters. The Hanoi Beer, Alcohol and Beverage Corporation (Habeco), the northern large-cap brewer, is collecting opinion from its shareholders on moving from the Unlisted Public Company Market (UPCoM) to the HOSE. Habeco has also attracted public attention with regard to the selling of the State’s 81.8 percent ownership in the company, which is valued at VND9 trillion. The Denmark-based brewer Carlsberg is now Habeco’s strategic investor and holds 15.77 percent of the company’s capital. Carlsberg has been allowed to purchase an additional 5.77 percent, but the deal has not yet been finalized. About 231.8 million of Habeco’s shares are now being traded on the UPCoM, under the code BHN. The company’s share price yesterday was up 0.7 percent to close at VND106,200.